Deliveries of passenger vehicles to dealers in India were up by 1.8% in November according to data exclusively compiled for just-auto by Deepesh Rathore. However, the slight gain comes as market concerns rise over the adverse impact on the economy of the Indian government's 'demonetisation' currency reform. The reform measures included - in November - the sudden withdrawal of Rs500 (US$7.40) and Rs1,000 (US$14.80) banknotes (to be replaced by new Rs500 and Rs2,000 notes with better security features). These bills are the highest denomination notes in circulation and account for about 85% of all currency bills in circulation. The move was aimed at hitting India's black market, high levels of corruption, tax evasion and counterfeit currency. However, 98% of India's economy is cash based and poor preparatory work meant that a severe cash shortage resulted, with commerce seized up. The Indian economy will take a negative hit that will last into the first quarter. "The impact of this could last into the first few months of 2017," says analyst Deepesh Rathore. "And it raises fresh concerns over the government's ambitious reform agenda. The intention was laudable, but it has been botched." However, the impact on the auto sector is not yet visible, although brands have added inventory at the dealer level. The automotive industry is worried about the immediate impact of demonetisation as footfalls declined across showrooms. "A fair share of Indian consumers use cash as a means of transaction and the move has crippled liquidity across the country," notes Rathore. Most industry executives expect a 20-30% drop in sales in the next three months even though the long-term impact of the move would be negligible. Industry is concerned about an immediate reduced liquidity and a short-term impact on economic growth as small traders and businesses lose money. However, November's data did not show a big impact of demonetisation. In dispatch (deliveries to dealers) data released by the Society of Indian Automotive Manufacturers (SIAM), passenger vehicles dispatches have gone up by 1.82%. While this is mild in comparison to October dispatches growth of 4.48% and the almost 20% growth the industry witnessed in September, it is not significantly low. Most leading manufacturers including Maruti-Suzuki, Hyundai, Renault and Tata Motors were cushioned from the impact of reduced footfalls by long waiting periods on leading models. Maruti's Baleno compact hatchback and Vitara Brezzasmall SUV, Hyundai's Creta compact SUV and Tata's Tiago small hatchback, all have long waiting periods. Market leader Maruti-Suzuki reported a 14.12% increase in dispatches driven by Baleno and Vitara Brezza sales. While not seemingly impacted by the demonetisation move, the carmaker has a seven-day annual plant shutdown for maintenance planned in December-January, which will help iron out the drop in dispatches. Also doing well was Tata Motors whose Tiago small hatchback continues to bring footfalls. Dispatches were up 14% on a year-on-year basis. 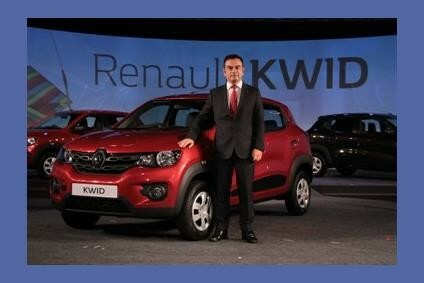 Renault's Kwid small hatchback has been a runaway success and the brand reported a 22.8% growth in dispatches on a year-on-year basis. However, the volumes were nearly 20% lower than the previous month. Comparatively small volume manufacturers like Volkswagen and Nissan-Datsun have recently launched new models and their dispatch volumes are helped by customer curiosity as well as inventory creation at the dealership levels. Volkswagen reported a 106% growth in dispatches owing to the initial enthusiasm for its compact sedan Ameo. Meanwhile, Nissan-Datsun reported a 51.9% growth in dispatches due to its newly launched small crossover Redi-Go. Also doing well was Toyota Motors who's Innova Crysta MPV has long waiting periods. Dispatches were up 10% over previous year. Toyota has also managed to maintain the sales momentum of the Etios compact sedan as it grows in popularity in the app-taxi segment, according to Rathore. However, across the spectrum the demonetisation move has had an adverse impact on many carmakers. Many of them have also been hurt by a routine inventory correction after India's festive season. Hyundai reported an 8.3% drop in dispatches due to post-festive season inventory correction. Honda had a bad month with a 45.4% drop in dispatches. Both the City mid-size sedan and the Amaze compact sedan have hit mid-cycle and sales have been hit as a result. Also hit bad was Ford, which reported a 21.6% drop in dispatches. The brand's next generation Figo hatchback and Aspire compact sedan has not been received well in the market and sales continue to suffer. Skoda reported a similar decline in dispatches from a very small base. 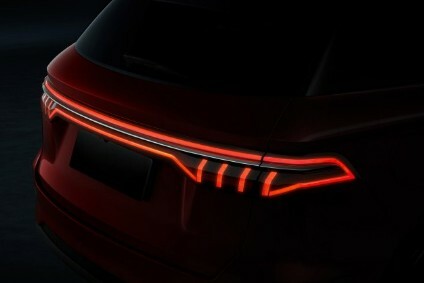 The brand has a very small presence in the market and its most popular model – Rapid mid-size sedan – has hit mid-cycle. However, the worst hit due to demonetization has been Mahindra. The brand reported a 33.2% decline in dispatches on a year-on-year basis. A large chunk of Mahindra sales come from the rural and semi-urban areas where cash transactions are very popular, notes Rathore. Automotive consultancy Emerging Markets Automotive Advisors (EMMAAA) indicates that demonetisation will continue to have an impact through 2017 as the economy is impacted at many levels. On an immediate basis, footfalls were reduced by 30%,as many customers did not have the liquidity. Many of them were also hoarding unaccounted cash and were taken by surprise on the government's sudden move. Passenger Vehicle sales have also been adversely impacted as the exchange trade has been paralysed, Rathore points out. The exchange trade was the dealer's preferred medium of making 'cash adjustments' for the customer, often under-billing cars. This practice amounts to tax evasion but is quite prevalent in the industry, he maintains. While most manufacturers do not condone it, catching and stopping this at the dealer level is difficult. Over the wider spectrum, there has been a reduction in trade, truck freightage and used car sales. Most economists predict a 0.5% or more reduction in GDP growth in 2017, which will have an impact on Passenger Vehicle sales. EMMAAA, in its December 2016 light vehicle forecast update, predicts that Light Vehicle sales will grow by 13.5% in CY 2017. This is a 3% reduction from the previous forecast and the downward revision reflects the impact of the demonetisation exercise.